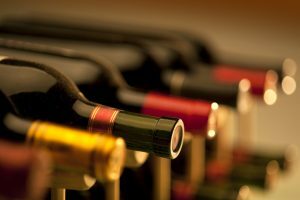 High priced wines increased in sales and have overshadowed lower priced wines in H1. As of June 16th, table wine price segments under $11 dollars lost share according to IRI. Wines priced at $4-$7 dollars were the most affected with a decline of 2.6 percentage in all channels costing 1.5 dollars share points for the period. In the convenience store channel, there was a 3 percent growth but it did lose a full dollar share point. The super-premium price segment of wines of 750mL between $11-$15 dollars saw an 8 percent sales growth and a large share gain of 0.8 share points in the last 6 months. Value ($0 – $4.50) segment decreased sales by 3 percent. Popular ($4-$7) segment sales declined by 2.6 percent. Premium ($8-$10) segment sales were up 2 percent. Ultra premium segment ($15-$19) grew sales by 11 percent. Luxury segment ($20-$25) grew sales by 11.6 percent. Super Luxury ($25+) grew sales by 10.4 percent.